"Called out Andrew must say he sorted all my gutters and leak. It was a Brilliant service from start to finish. I 100% recommend Roofs r us." 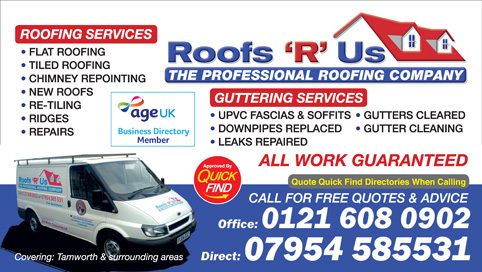 "Had Roofs R Us out to replace my fascias boards and guttering, really pleased with workmanship and competitively priced, would highly recommend"